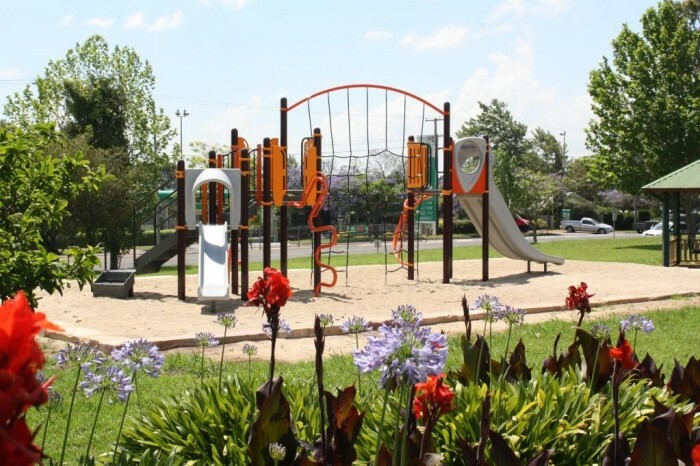 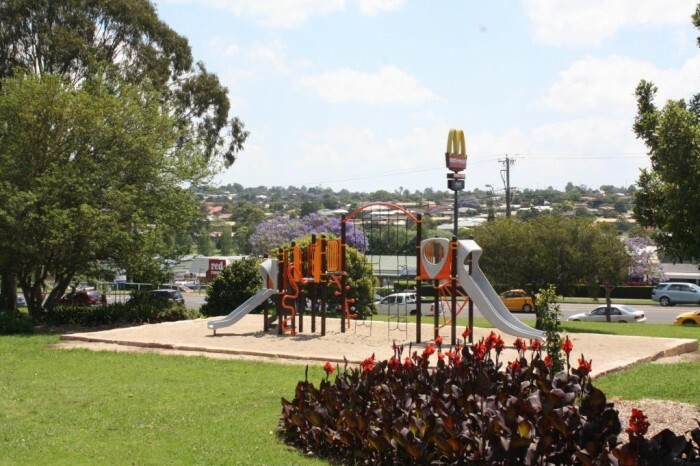 Situated on Ruthven Street, in a high use sports park and across from a very busy McDonalds Restaurant, this playground experiences a great number of users from all age brackets. 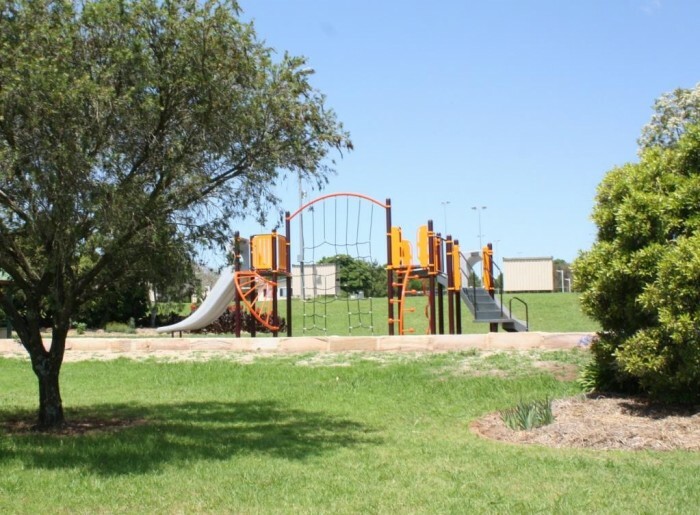 The neighbouring sports park houses 15 netball courts and 2 soccer fields, which equals a lot of siblings needing entertainment, not to mention the number of travellers simply passing through town. 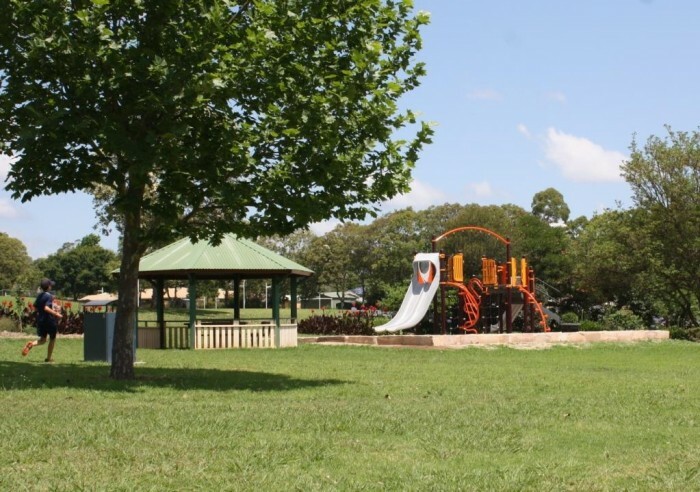 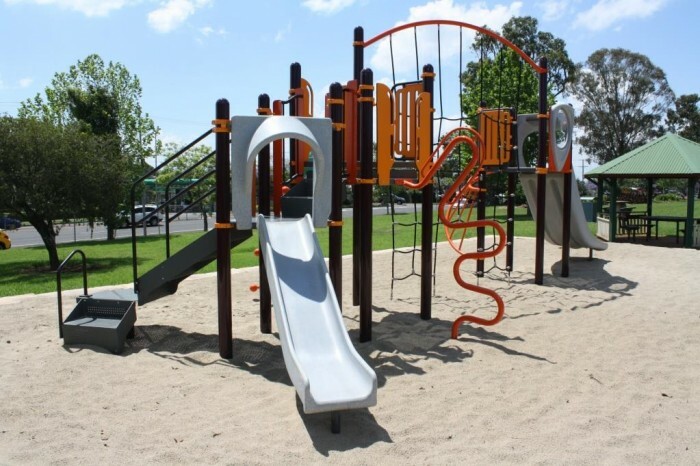 Toowoomba Regional Council often procures high play value / value for money equipment and stores in their depot so that they have an immediate solution when a playground becomes decommissioned. 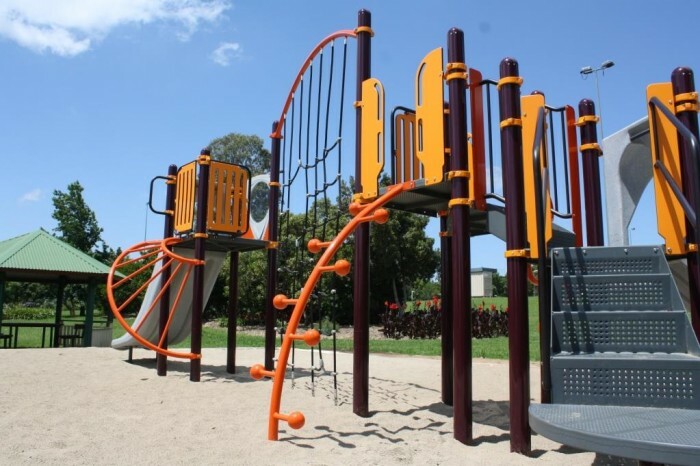 In this case, the result has been a huge success with the play system suiting all ages and the colours creating a great vibrancy in its surrounds. 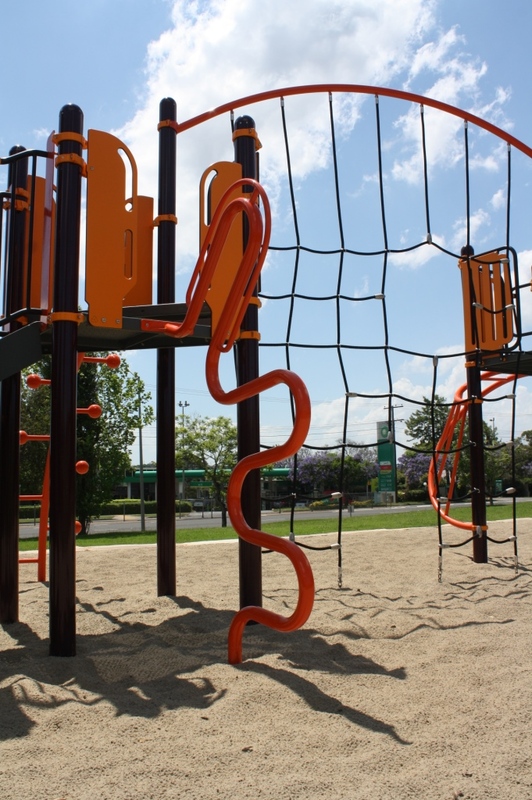 This PlayBooster system encourages the thought process as children figure out how to traverse from one side to the other – they have to “cross over” through the net to get to the next component! 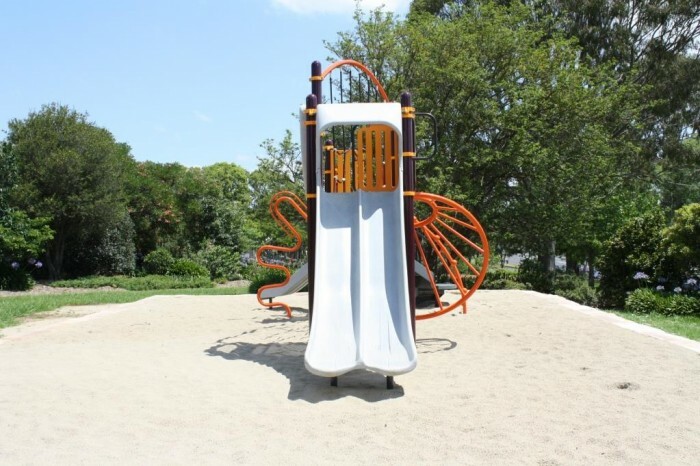 Climbing challenges come in the form of the alternative logo, lollipop and sunbeam climbers and up, over and across the crossover net, and there’s great sliding for all ages – a junior slide and the super fast Double Swoosh slide – a popular racer with older children. 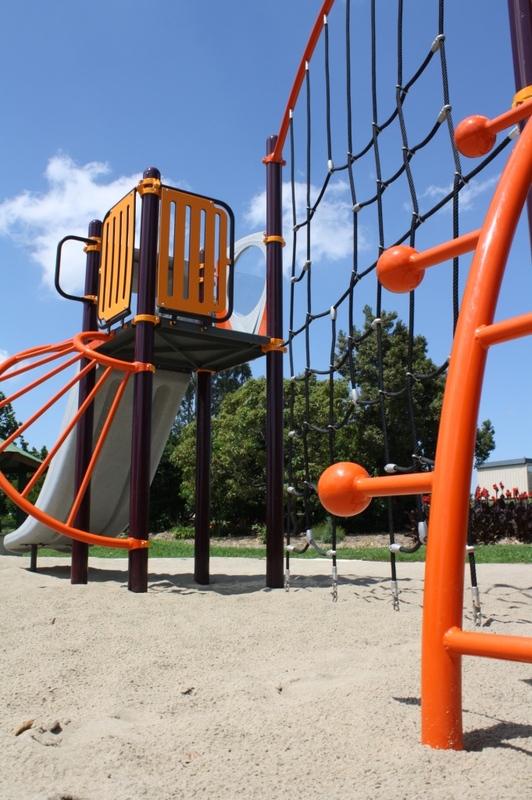 So not only does this system provide physical and mental challenge, it also promotes coordination, balance, core strength and gross motor skill development. 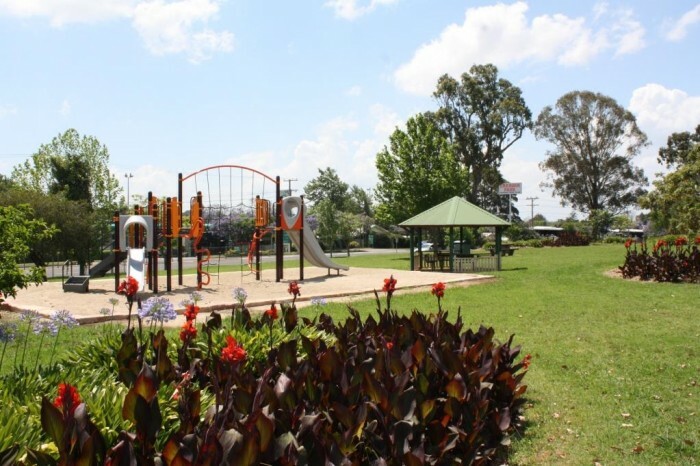 Well done Toowoomba on a great choice of system! 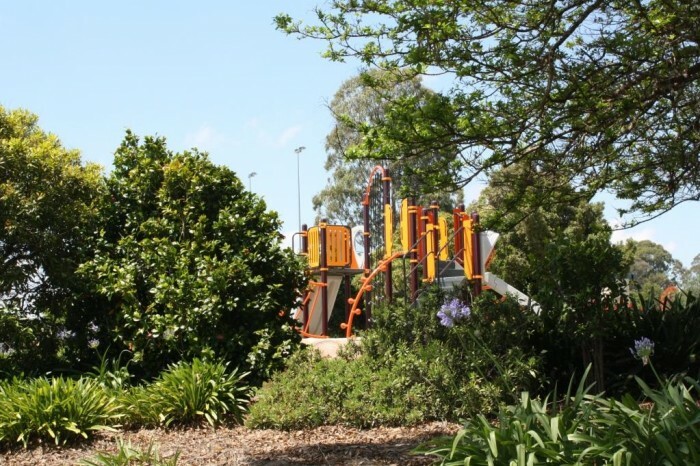 “It is really HIGH – really quite scary” – we all need a good challenge in our day!